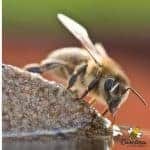 Why Have Bees On the Homestead? Homesteaders, Preppers, Survivalists & Others Can Benefit From Bees. 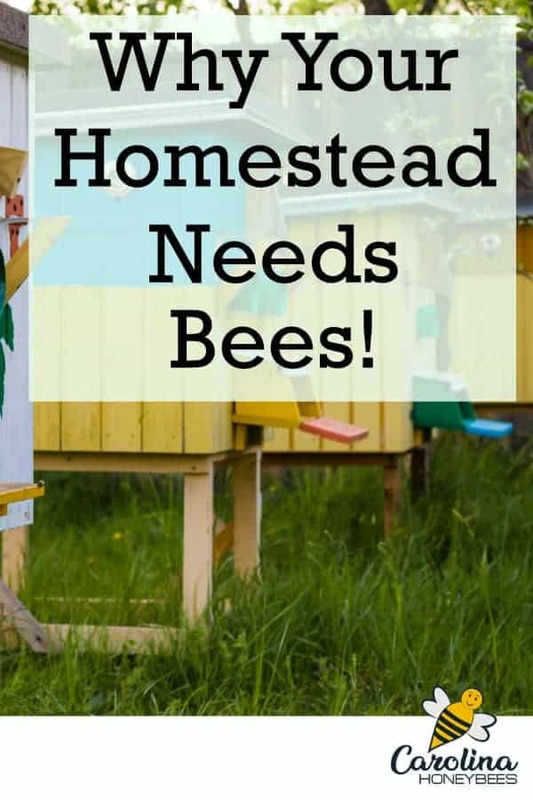 Having Bees on the homestead or in a small backyard add so much value to the home. In a world that seems crazy in some respects, people are interested in finding ways to become more self-sufficient. Homesteading as a means of enjoyment and sustainability grows more popular each year. 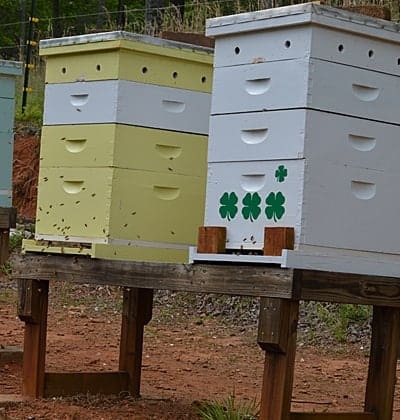 Whether you are a full out prepper with a bunker in the back yard or someone searching to reconnect with nature, beekeeping can be a great addition to your home skill set. Everyone knows that bees make honey. But, honey bees can provide so much more. Installing bees on the homestead can provide products to use and income due to surplus sales. Let’s investigate some of the reasons that you should consider adding bees to your homestead. Depending on your location, you may not harvest honey from a beehive during the first season. It takes a honey bee colony time to get established and prepare for Winter. 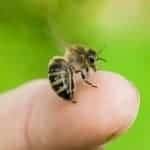 Well established colonies (over 1 year old) should produce surplus honey. In my area, new colonies rarely produced enough honey for themselves and me too. But the second year should be one of production. How much honey you can produce will depend on your location and climate. But 2 colonies will usually provide enough honey for family consumption. Other than nutrition purposes, honey has many other uses. 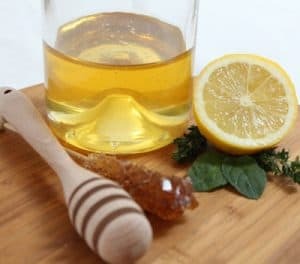 Raw honey soothes coughs and colds. It combats infection and promotes healing of wounds and burns. A product used as food and medicine is a good one to have around. After the honey harvest, a beekeeper has excess beeswax. Honeybees produce beeswax from wax glands on their abdomens. Honey gets all the attention but beeswax has value also. At one time, beeswax was accepted as a form of payment for taxes in the state of Tennessee. Early settlers understood the value of this unique product. On the homestead, beeswax can be used in many different applications. Candles made from beeswax are highly valued. They burn brighter, longer and cleaner than other fuel types. Beeswax candles are a wonderful addition to any home. 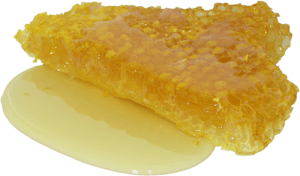 Beeswax is used to produce an effective waterproofing agent. It has been used in canning, sewing, carpentry, furniture building, and archery. Again the ability to not only use – but sell or trade beeswax is another reason to consider having bees. Some beekeepers are able to produce income from their beekeeping activities. 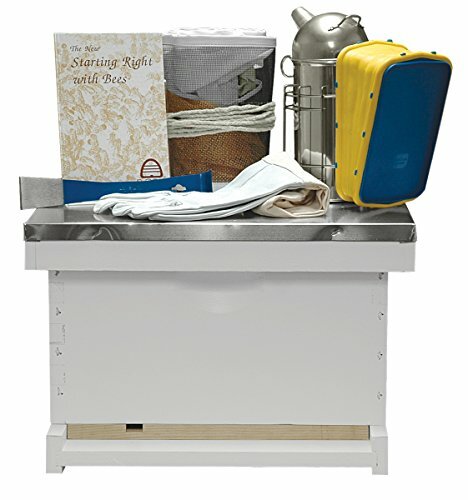 Beekeeper startup equipment is costly. But, bees can sometimes be found at lower cost. Often an older experienced beekeeper will trade a starter colony of bees in exchange for a few hours of labor in the bee yard. Honey bee swarms can also be captured and placed in home hives. The actual bee colonies themselves may provide a source of income or barter. Healthy hives that grow and multiply can be sold or traded for needed goods. So many of us are seeking a life of greater independence and sustainability. The value of honey bees and bee colonies makes them an asset to any homestead. Honeybees will pollinate vegetable gardens and orchards. Pollination by honeybees greatly increases crop yields. Crops not needed can be sold or traded. And nearby neighbors may rent a couple of hives for the summer season to pollinate their vegetable garden. In a time of crisis, gardening for preppers and homesteaders becomes more than a hobby. It is life-sustaining. Having bees on the homestead can provide a valuable source of income for preppers, homesteaders and almost everyone. Beehives can even be kept near chickens . They can share a large area and the hens may aid in keeping some insect pests from the hives. 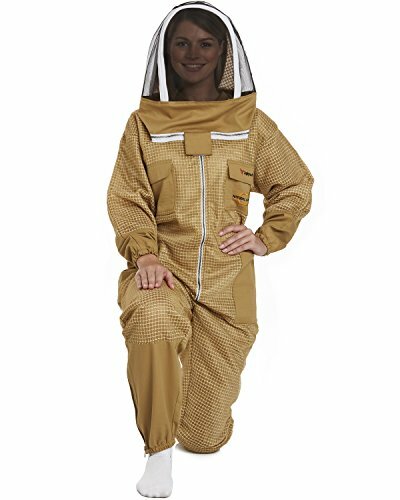 Beekeeping is popular now. This means there is a lot of information out there to help you get started. Before rushing out to buy bees, you have some work to do. Taking the time to learn proper bee management will increase your chances of success. Books, online articles and classes are available in most areas of the US and online. Beekeeping today is very different than bee management in Grandpa’s day. 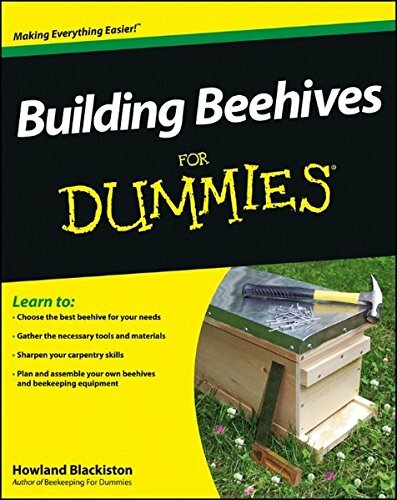 Learn basic beekeeping techniques and prepare well before you get bees. Strive to avoid simple beekeeping mistakes. You will make mistakes we all do ! “If you fail to plan, you plan to fail”. Managing honey bees on the homestead for productive yield will require a little start up money and some hard work. It is not easy but the rewards are great. Getting started in beekeeping requires the purchase of some equipment. You can make your own boxes if you wish but unless you have access to scrap wood it is less expensive to purchase beehives. Beekeeping equipment is available from many sources. Online sellers such as Amazon offer a good selection of beekeeping products. Shop around and compare prices and quality. If you are lucky enough to have a local bee supply, this is a great opportunity to help the local economy. Beekeepers no longer interested in the hobby often sell used equipment. This might be a good deal in respect to hats, veils, smokers and other tools. But, be careful when purchasing used equipment. Equipment that has contained bees may harbor pests and diseases. The honeycomb provides the greatest danger of contamination. My opinion is to refrain from buying used comb. Once you have your supplies in order, Honey bees can be ordered for Spring delivery. Remember to get protective wear for yourself. Successful beekeeping requires good quality standardized equipment. While hives are available in several different forms, I still recommend 10 frame standards for beginners.